Jake and Ellie have been through a lot together, from home repair to homicide investigation. So when they decide to open a chocolate-themed bakery, they figure it'll be a piece of cake. With Ellie's old family recipes luring in customers, they expect to make plenty of dough this Fourth of July weekend. Having family home for the holiday only sweetens the deal for Jake-that is, until the ill wind of an early-season hurricane blows up her family's plans. 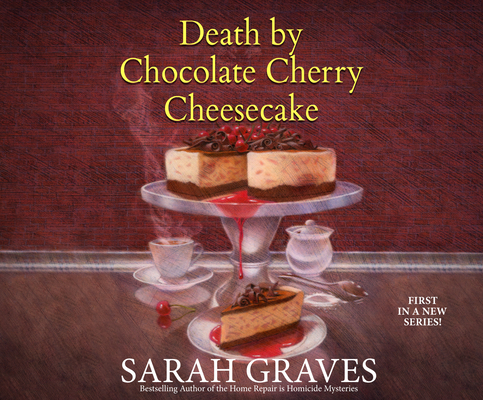 But as bitter as the storm is, something even more sinister is brewing in the kitchen of The Chocolate Moose-where health inspector Matt Muldoon is found murdered. Ellie never made a secret of her distaste for Matt, who'd been raining on their parade with bogus talk of health-code violations. But now, with no alibi for the night of the murder, she's in a sticky situation with the police-so it's up to Jake to catch the real killer and keep Ellie living in the land of the free.